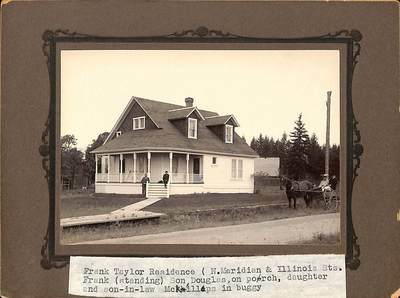 This is the Frank Taylor House in Newberg, Oregon in 1913. It was planned by his first wife, Chloe Taylor to be a "great Christian home." However, she died before the family moved in. Frank Taylor later lived there with his second wife Emma and son Douglas.